Welcome to our live interactive content! These courses are the flagship of the Children's Book Academy providing 4-5 week long highly interactive experiences unlike anything else out there! 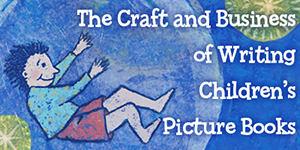 This magical course opens up the wonderful world of chapter book writing. As picture books become shorter and more image driven, this special form is becoming more and more important. 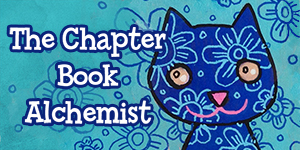 Come join the fun and learn how to write your own in this fantastic course co-taught by the Chapter Book Alchemist herself, Hillary Homzie, and Dr. Mira Reisberg. Independent publishing is becoming harder as traditional publishing becomes colder to newer writers and even older writers. Take your future into your own hands as we teach you how to create quality books, how to market them, and how to pay for the whole thing with Kickstarter and other crowdfunding sources. 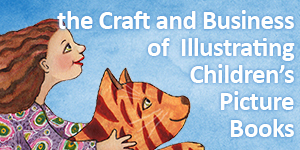 In this flagship course, you will learn more than you can even imagine about how to write, revise and submit many kinds of picture book stories for publication. All too often you hear of writers that have all the passion in the world, but no real world knowledge on the actual business end of the career. And then the business end of it tends to be quite a drag and not fun to learn about. In this course Dr. Mira Reisberg injects a whole load of fun into how to Write for Love and Money. This course is unlike any other course that you will ever take with five fabulous weeks of mentoring, critiquing, learning, growing, making art and kid's books, and opening all sorts of career doors and opportunities. Co-taught by Chronicle Books' Kristine Brogno and Dr. Mira Reisberg. We are always cooking up new and exciting courses here at the Children's Book Academy. Check back soon for new courses, or sign up for our awesome newsletter to get first dibs!